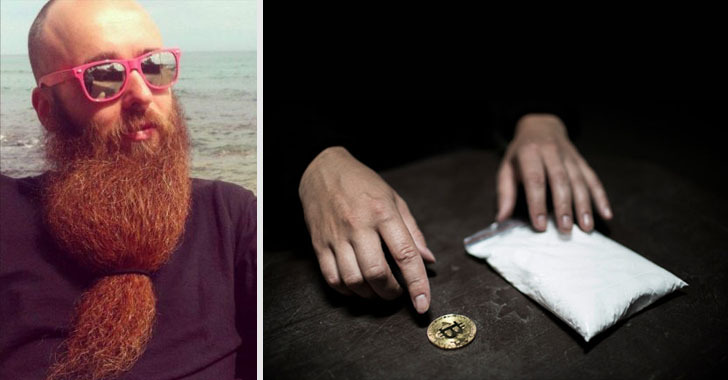 A dark web drugs kingpin who was arrested last year when he arrived in the United States to compete in the World Beard and Mustache Championships has now been sentenced to 20 years in prison. On Tuesday, U.S. District Judge Robert N. Scola sentenced 36-year-old French national Gal Vallerius, aka "OxyMonster," after pleading guilty to conspiracy to possess with the intent to distribute controlled substances and conspiracy to launder money in June this year. According to a press release published by the U.S. Department of Justice, Vallerius was an administrator, senior moderator and vendor on Dream Market—one of the largest dark web marketplaces for illegal narcotics and drug paraphernalia. Launched in November 2013, Dream Market began operating on the TOR "dark web" network and was designed to make it easier for people to anonymously buy and sell illegal items and services in exchange for Bitcoin and other peer-to-peer cryptocurrencies. Vallerius initially started as a simple vendor of OxyCodone and Ritalin in Dream Market, but later he was employed by the dark web drug marketplace founders as a senior moderator and website administrator between May 2015 and August 2017. Vallerius was arrested by U.S. authorities on August 31, 2017, upon landing at Atlanta International Airport from his base in France to attend a worldwide beard competition in Austin, Texas. After his arrest, US authorities found a laptop which confirmed Vallerius' login credentials for Dream Market and uncovered roughly $500,000 worth of bitcoins and a PGP encryption key entitled OxyMonster, verifying his identity on the dark web marketplace. Vallerius also ordered to forfeit more than 121 units of bitcoin cash and nearly 100 bitcoins (totals more than $700,000) after pleading guilty before Judge Scola on Tuesday. The 20-year prison sentence Vallerius received is half the maximum amount of jail time a judge could have handed him. Vallerius is also cooperating with U.S. authorities, which could further be reduced his jail period. Vallerius is the second dark web marketplace admin to face a prison sentence in the U.S. this month. Last week, Irish man Gary Davis aka Libertas, a former Silk Road site administrators and forum moderators pleaded guilty to drug trafficking charges that carry a maximum prison sentence of 20 years.